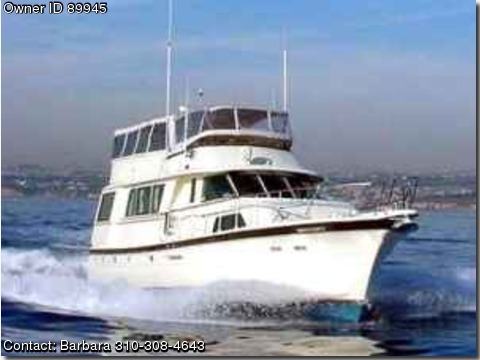 Great condition 1979 USCG inspected for charters. Great business opportunity in California for private parties, corporate events. Licensed and insured for 49 guests, 3 staterooms, 3 heads, wetbar, speakers throughout, full galley with oven, dishwasher, microwave, booth seating. Great way to get out of the cold. Located in San Pedro in an in expensive commerical slip next to a new Los Angeles Port with cruise ships destined to be located. Great boat for a corporation and a terrific tax write off. ocean excursions as well as harbor cruises for up to 49 passengers. utmost in stability, comfort & safety regardless of sea conditions. ,refrigerator, disposal and water filter. The fuel capacity is 750 gal . diesel engines with 550 hp on each. Odyssey is 32 tons with a 15"10"
trips to Mexico or how about just having fun!!! Let Odyssey Be The Yacht For All Your Needs.